Discounter pallets with very varied compositions in reference in the following categories: bazaar, wines, clothing, decorations, toys, cosmetics, pieces of furniture, tools, etc. All the products which can be found in discount stores. 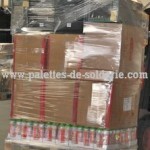 - our price : 165 euros before tax / pallet. 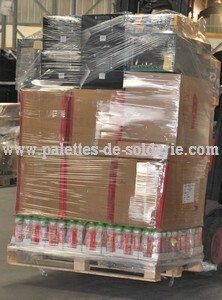 Minimum of 30 pallets that is to say 1 container. Do not hesitate to contact us for further information or to connect our web site. This entry was posted in Our clearance pallets and tagged Import-Export. Bookmark the permalink.